Since discovering a LNWR ticket shed in a back garden in Hammerwich in 2012, we were lead to believe that the building was from the platform off Hammerwich Station. 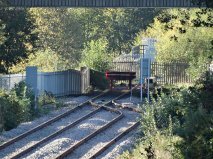 A number of local contacts also verified that the shed was transported off the platform at Hammerwich on to an old coal truck and taken the short distance to the local property. Since Chasewater Railway expressed an interest into the building, and a date set for moving the shed to the railway, we have dug abit deeper and found more information out. We manged to locate a colour photo of Hammerwich Station taken from the footbridge looking in the direction of Lichfield. From this photo, dated 1960 we could clearly see that all the buildings and out houses were in fact painted in cream and burgendy. This enabled us to say that the shed was not from Hammerwich, as it was moved to the garden after the stations closed in 1965. A few weeks ago (Late March 2014), the next door neighbour of the property the shed is in, mentioned that the original owner of the house was infact the Station Master at Brownhills Station, up until its closure in 1965. The gentalmen said that the shed is definatley from Brownhills and that it was bought over in 1966. 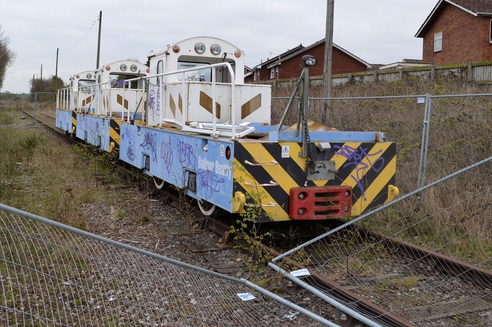 After nearly 3 years of being stored on the main track outside the Quattro Rail compound (the former Charringtons/BP Oil Terminal), and after being subject of vandalism & graffiti (see April 2013 article), The Balfour Beatty electric locomotives have now been pulled along the track and across the points , and shunted into the remaining section of track that goes into the Quattro compound. The reason for this is for them to be collected and transported up to Stoke on Trent for a full restoration & overhaul, before being sold and put back into use. Quattro were storing the locomotives (for a very good storage rent) in a so called secure compound, and the locos should of had regular running's, up and down the sidings to keep everything in a good working order. 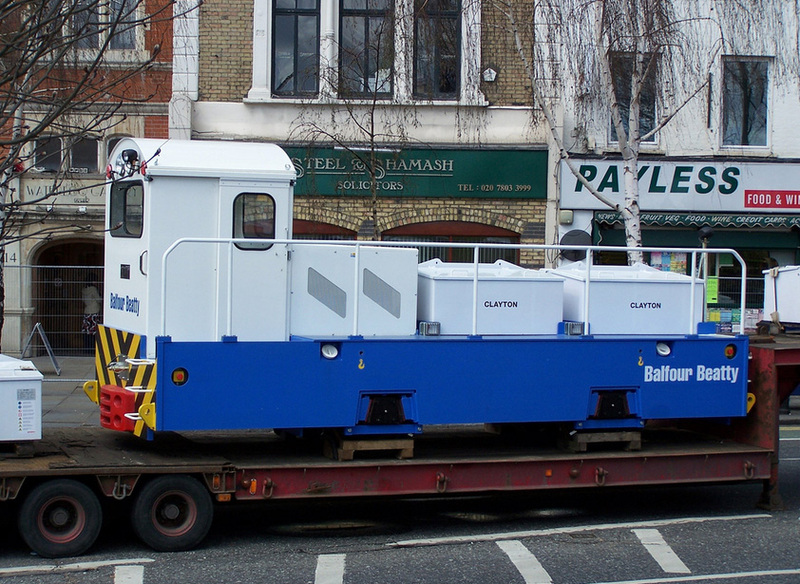 A low loader truck will be collecting the electric locomotives within the next few weeks. 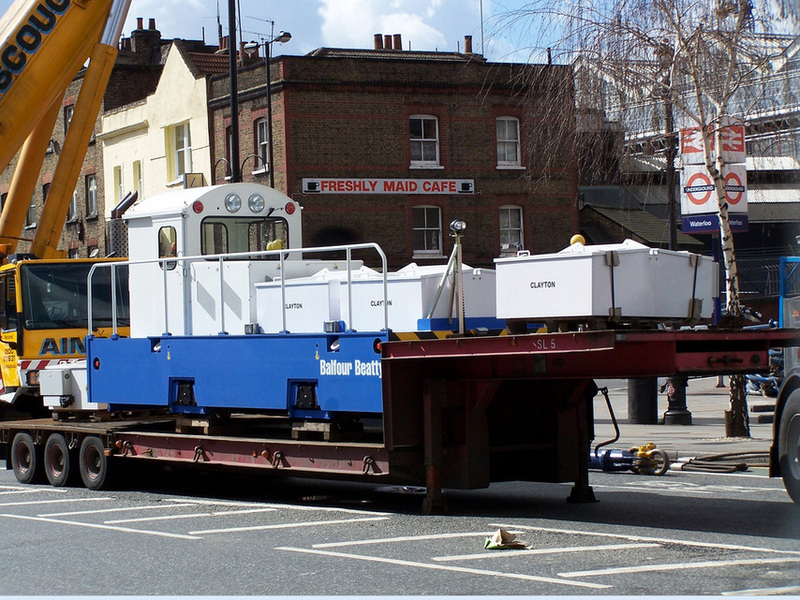 The lifting operation to remove the 1992 London Tube Stock from Waterloo & City Line for refurbishment in April 2006 was a Balfour Beatty Clayton locomotive which would later be lowered into the line for use during the rebuilding works. Theses locomotives were ideal to move up & down the Waterloo Line due to there build, of being small and narrow. They pulled and shunted flat bed trolly's, transferring matirials and tools to workstations alonf the line. A company called SimSig has produced a number of railway signalling sims thoughout the country. One of those sims is of the north Cross City Line and South Staffs.. Players can control the northern end of the Birmingham Cross City Line from just beyond Aston Junction all the way through to Wichnor Junction via Lichfield City & Alrewas (South Satffs Line). A total of 20 route miles, and covering 3 signal boxes: Aston PSB, Lichfield Trent Valley High Level, and Alrewas. The simulation era covers the period from when the area was resignalled into Aston PSB, in October 1992, right up to the current day. London Midland will be introducing a temporary timetable Between Monday 17th and Friday 21st of February along the Cross City Line. This is to allow Network Rail to carry out essential engineering works at Landor Street junction, just outside of Birmingham New Street. Due to the maintenance works, Cross Country Train services, which would normally travel via Tamworth, are being redirected on to the Cross City line and along the freight only South Staffs Line via Alrewas. 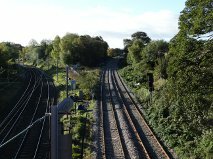 London Midland will operate a reduced number of train services while access to the line is shared between the two train operating companies. 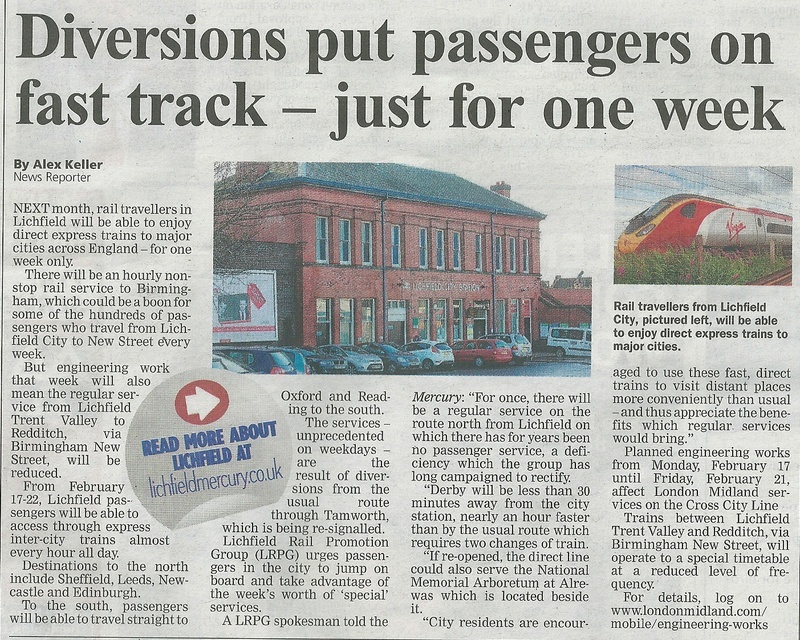 Customers travelling from Lichfield City will also have the option of travelling on a direct service with Cross Country Trains, as ticket restrictions will be lifted.” This means that passengers can travel direct (Express service) to Birmingham New Street and beyond. It is a rare chance to travel along the once popular South Staffs route which enables you via Alrewas to Burton & Derby direct. South Staffs Rail member Dave Cresswell, releases his latest rail blog for Winter 2014. 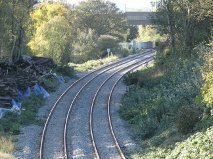 The winter blog focuses on diversions, mainly across the South Staffs via Alrewas, Cross City lines and a rare account of diversions via Walsall and along the freight only, Sutton Park line. In November 2012, we did a story on how remarkably one of the wooden out-buildings that stood on the platform at Hammerwich Station was still standing in someone’s garden. After that point we met up with the owners friend, who lives opposite to the garden that the shed is in, and mentioned about the idea of relocating the shed due to its historic importance. They said what a wonderful idea, and they would mention it and let us know. On 23rd January 2014 we had an email through asking to ring up the friend of the owner of the shed. We phoned up straight away and found out that fantastically we could have the shed and relocate it to Chasewater. We got in contact with Mark at Chasewater and arranged to go and see the shed with the owner’s son in-law. This original LNWR out-building (dated between 1846 -1922) It is remarkable to see a wooden structure which is as old as this is, with more or-less, all of its original features. The windows, bars, paint, ticket shelves, door complete with a stamped LNWR locking barrel are all original. The only modern thing attached to the building seems to be the guttering. The building was transported on a back of a coal truck not long after the station closed in 1965. It has been used as a garden shed ever since. 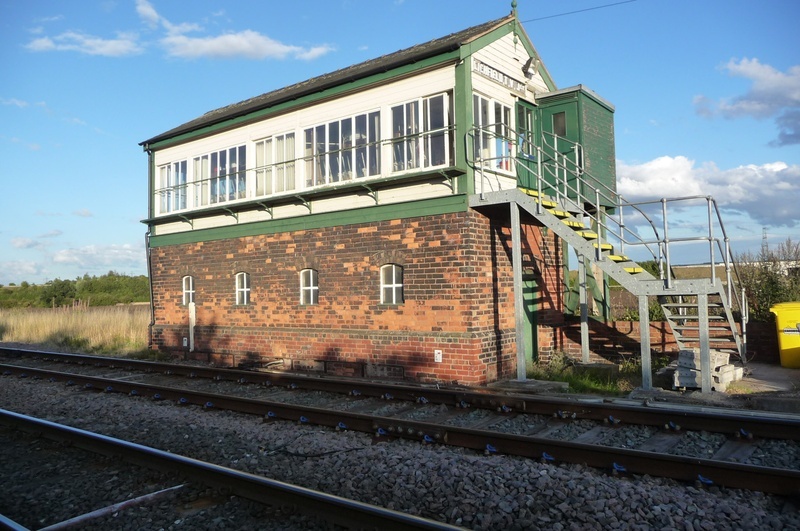 It now has a bright future, as Chasewater railway will be using it (once refurbished), as a ground-frame hut at Church Street. We will keep everyone updated on the progress of the move at the end of February. Caught in time - Can you help? 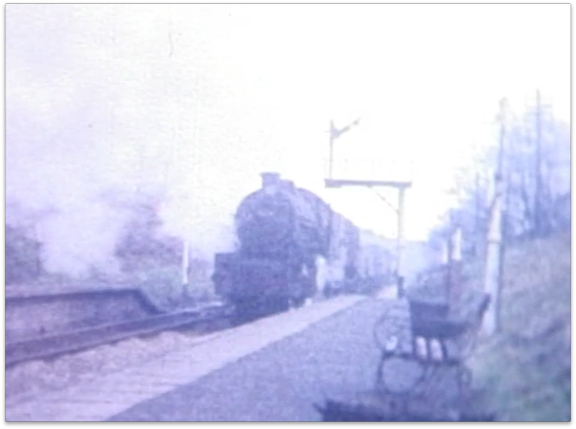 part of the film (21:00 mins in), as it shows Brownhills Central Station, with what seems to be a black five pulling a freight train. The Brownhills Blog wants as much information that readers can supply about this film. Anything you have to say is welcome. What are the plans of on his wall? Is the colliery with the concrete funnel hopper really the Grove? Is the school Shire Oak, or Mob Lane? Who made the film – not just the Cine Club, but who were they? We can clearly see when and who made such an excellent job of converting it. Who had it converted? What’s the story? There’s a roving bridge that looks like Catshill Junction but I can’t work it out. Is it? The water doesn’t look right. Cross Country trains which include 220 Voyagers and Class 43 HSTs will once again be travelling along the X-City & South Staffs Lines every Sunday until April. Engineering works between Water Orton and Tamworth means a closure of the Birmingham to Burton Line on Sundays. Trains to/ from the north east of Scotland will be diverted through Lichfield City, with rail replacment buses transfering passengers to Tamworth. Traction will also be increased with the normal empty stock Virgin 221s & Cross County 220s that use the Tamworth line, also being diverted through Lichfield. This will be to & from Barton Under Needlewood central Rivers depot. There are also some Freight workings from Tees New Yard to Margam Terminal Complex, although theses may not run with the change of timetable. Work on the track is now complete. With only a few ajustments to be done on the points and signal signs. The images show the new run around loop, on the former South Staffs Line heading towards Wednesbury from Walsall. The Photos were taken from Wallows Lane bridge, the zoom flattens the picture and makes it appear that a local couldn’t fit between the buffer and the points. 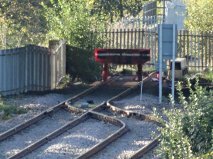 Its obvious that a fence has been erected to the left which would have lead to Bescot curve.